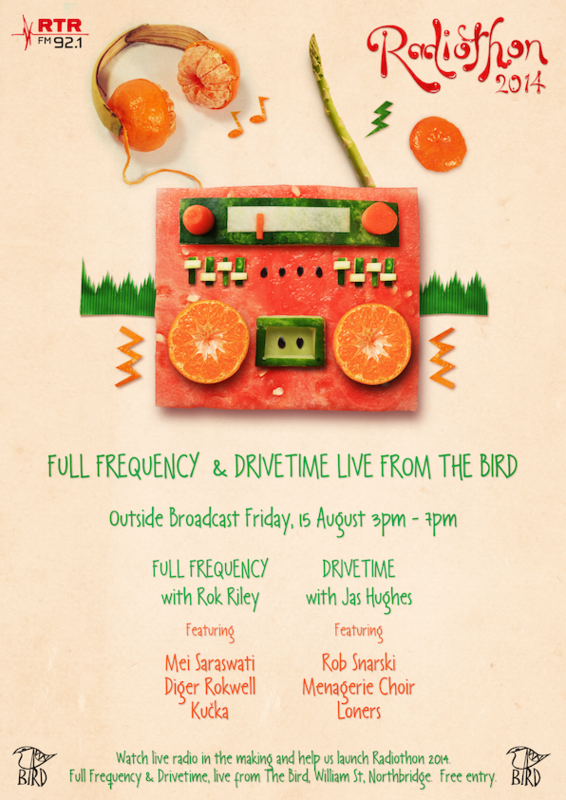 Radiothon 2014 will kick off on Friday, 15 August with a very special free Outside Broadcast at The Bird, from 3pm. Rok Riley will kick things off with Full Frequency from 3-5pm, accompanied by special guests Kučka, Mei Saraswati and Diger Rokwell performing live. From 5-7pm, it’s Drivetime with Jas Hughes, with live sets from Rob Snarski (The Blackeyed Susans), Loners and the Menagerie Choir. Come down and see live radio in the making and the tunes you dig… then hit the Radiothon Party at The Bird, The Bakery, Ya Ya’s and Flyrite, from 8pm!